Remember the coordinated Russian social media campaign that turned Democrats against one another and used disinformation to help elect Donald Trump in 2016? 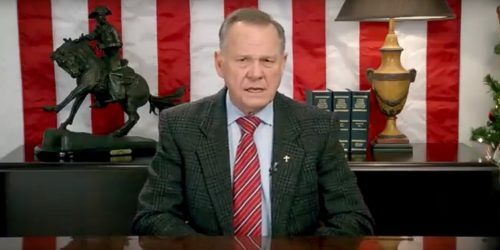 American political operatives were apparently taking notes and launched a similar campaign, known as “Project Birmingham,” to help defeat anti-LGBTQ Alabama senatorial candidate Roy Moore in the 2017 Alabama special election. The office of Alabama Attorney General Steve Marshall is investigating, but it’s unclear just how widespread Project Birmingham was, how many people were behind it or how many voters engaged with its content. The New York Times says Project Birmingham was “likely too small to have a significant effect on the race,” as it spent $100,000 in a $51 million race. But it still raises questions, especially considering that Democratic candidate Doug Jones beat Moore by a slim 21,311 vote margin. The Washington Post reports that in the run-up to the December 12, 2017 special election, Jonathon Morgan, chief executive ofTexas-based research firm New Knowledge, was paid by American Engagement Technologies, a group with ties to Project Birmingham, to conduct a small-scale experiment with disinformation tactics. Morgan has said he only wanted to learn more about disinformation and wasn’t trying to sway the election. Nonetheless, Project Birmingham created fake profiles of conservative Alabamans urging other Republicans to support a write-in Republican candidate over Moore. Nearly 22,777 Alabamans voted for a write-in candidate in the 2017 special election. Project Birmingham also created Twitter accounts with Russian-sounding names to follow Moore in hopes of getting others to believe that foreign automated accounts, called bots, were supporting Moore. The campaign also emphasized widely reported news stories of women accusing Moore of pedophilic molestation. Political observers worry that this small-scale campaign may have big-scale implications as politicians deploy similar campaigns in the future under the worry that their opponents will do the same.